This year I was planning on doing the Tour De Manche, then when I worked out I couldn’t really afford the ferries, and the timings didn’t quite work out for me I looked at doing the Lon Las Cymru again, or doing the Way of the Roses and W2W cycle route as a circular trip. None of this came off for a number of reasons (not least because most of the people I’d rope in to dog sit went off on holiday) so I ended up having a week off from home. Living in Somerset though this isn’t a massive chore though and I soon hit upon an idea, I was going to visit every National Trust site (and cafe) within a 15 mile radius of Taunton. 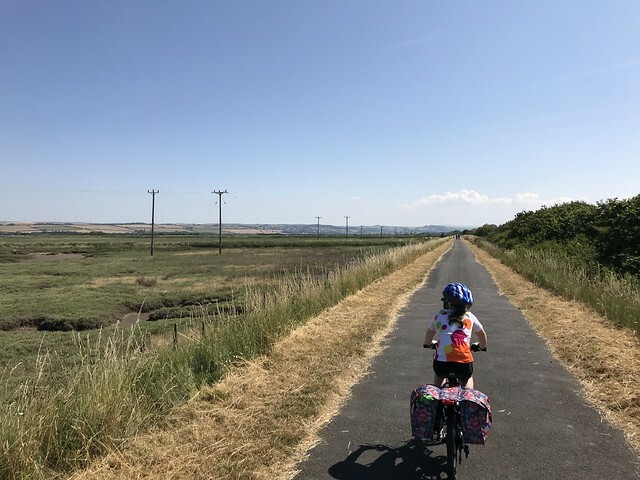 I’d also planned a cycle camping weekend with my daughter at the end of the week, if you’re only interested in that skip to the end! First though I had to cycle the Avon Cycleway audax, 130km round Bristol. I really enjoyed this ride, though the route would be better if they ran it clockwise I think! It follows (mainly) the sustrans 410 route circumnavigating Bristol. 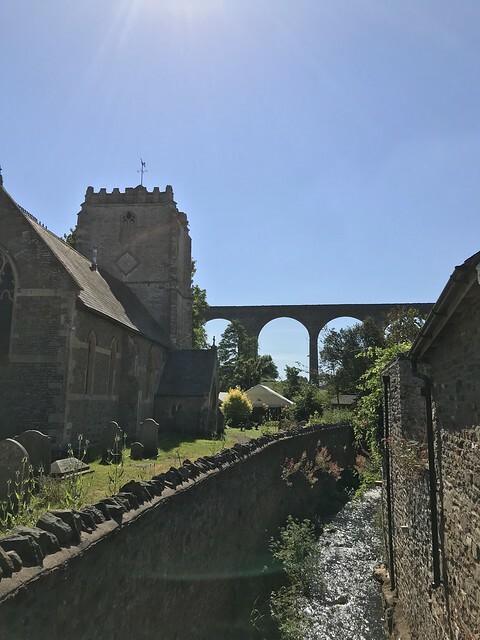 We started off from Cleve rugby club, then headed anticlockwise up around Yale, and over to the coast, down through Clevedon, then back across the Mendips through Chew valley then back up to the rugby club. Ended up tagging along with some Audax Club Bristol riders who dragged me round. Actually faster than I would usually go as well, but I find this happens when cycling with people. 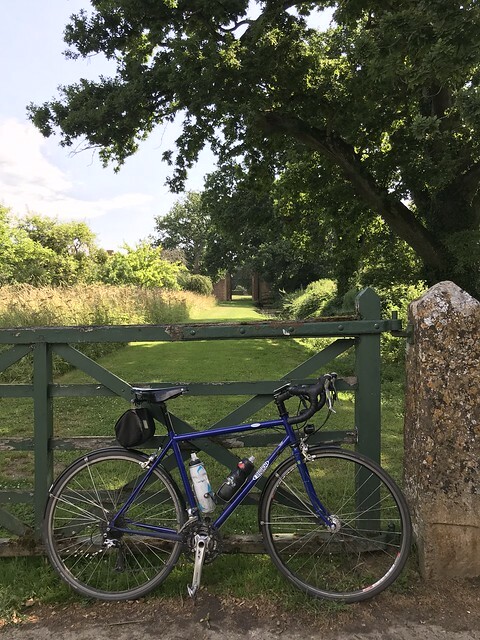 With the cycle from Bristol Temple Meads station and the 2 miles either way to and from Taunton station, I ended up cycling 103 miles that day. My first imperial century. After a Sunday doing nothing, the week was full of rather nice (if rather hot) rides around Somerset. I think the highlight was the Monday ride, over the Quantocks to Watchet, around to Dunster then up onto Exmoor and through Wheddon Cross and back to Taunton. Rather than bore you on the individual rides I’m just going to list the National Trust sites and rate their cafes! I found it quite hard to generate the drive to get up towards the end of the week which I’ve never had when doing a proper tour. I guess it’s the difference between having a destination you have to actually get to. Next year I will be better organised and have something booked in I think. I’m just not sure what, which was the problem I had this year really. My wife was rather concerned about the heat and the distance I was doing. She wanted me to reduce it as much as possible. I had confidence in my daughter though and we set off from the planned start point of Barnstaple. 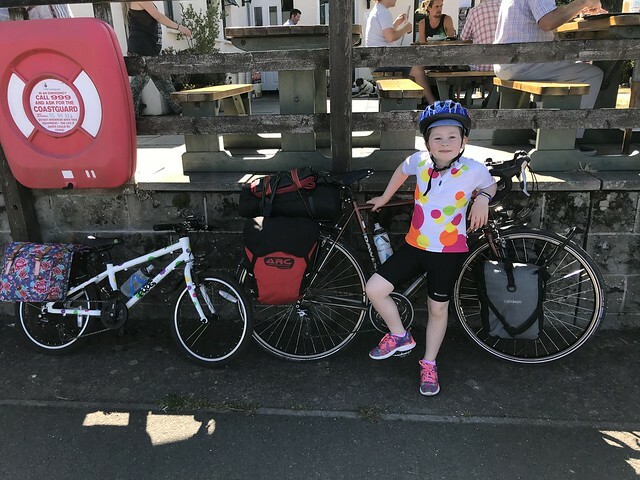 We were aiming to cycle the Tarka Trail as far as Smytham Manor camp site, pitch up for 1 night, then cycle back to the car which was stashed up in Barnstaple train station carpark. We got out to Barnstaple for 10am and straight onto the bike path. The benefits of the station parking was that it has direct access to the Tarka trail, so no road riding. 200m down the trail and Ellie is complaining of being tired. Quick stop for flapjack and cornflake cakes, and she’s good to go again. 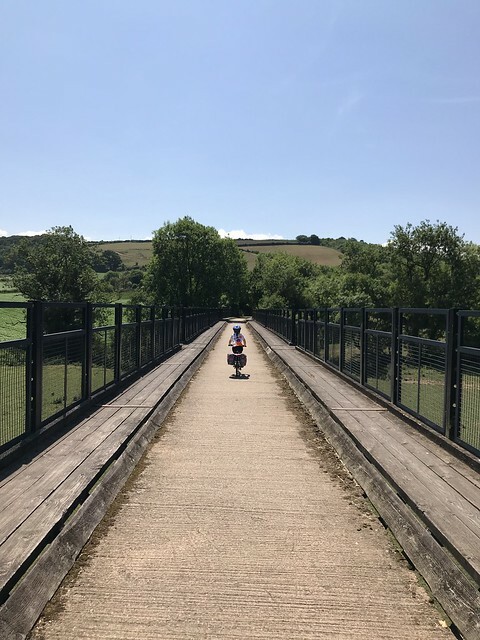 The first part of the Tarka trail follows the estuary, and is wide open through grass land. The weather we had mean this was fantastic, minimal wind and glorious sun. We were early enough to not get the hammering heat which came later in the day either. A few miles on and we got to Fremington Quay. A purpose built cafe on the Tarka trail made to look like a train station that was knocked down on the location previously. The size of the slice cake we got was ludicrous, we had to half it, and even then Ellie couldn’t finish her half! A quick play on the playground there, then we were off again. From Fremington to Instow, then Bideford, the trail is still open but with a few little patches of wooded areas to give a bit of shade. We continued on with only a few daddy boosts (I put my hand on her shoulder and pedal and she gets to freewheel) until Bideford station which has an old train carriage with a cafe ran on it. We stopped for a much deserved ice cream. From Bideford the nature of the trail alters, it still follows the river but heads inland through woodlands, over river bridges and through a tunnel. My view this is the prettiest section of the whole route and is less busy than the first half as well, which is nice. A stop at the Puffing Billy for lunch (good kids menu!) and onto the only climb of the day, but as this is an old railway track even that isn’t too onerous. Ellie was fine with a few daddy pushes (same as daddy boosts, but with her pedaling as well. This is all Ellie by the way, I didn’t come up with the names. There’s also a daddy rocket, where I launch her forward at the end of a boost…) and our campsite soon came into view. We stopped at Smytham manor, which has its own entrance from the trail. All done it was 17.5 miles cycling. Anyway, decent nights sleep (need to get Ellie a better camping mat and a spork) cooked some porridge on the stove after packing up the bikes and we’re off back to the car at 9am. I’d promised Ellie ice cream at Fremington Quay as she’d seen them the day before (proper scooped ones, not prefilled pots) so she was motoring. We retraced our route from the day before made somewhat easier by going down the hill as well. A single stop at Fremington then we were back to the car by 12pm and done. I really think if it hadn’t been quite so hot she’d have been able to do much further. She wants to next time which is good (that she wants a next time is good!) so we will see, may try to do the full coast to coast.